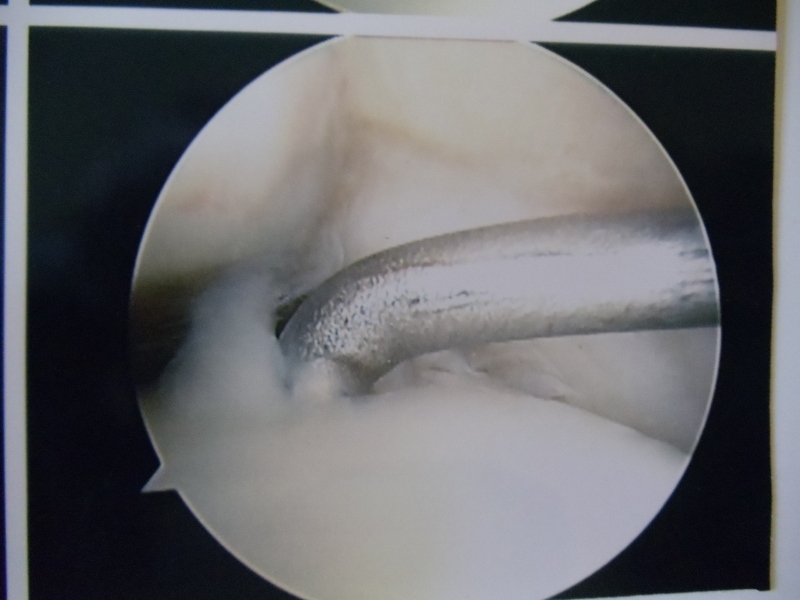 Stage I Intact overlying cartilage. 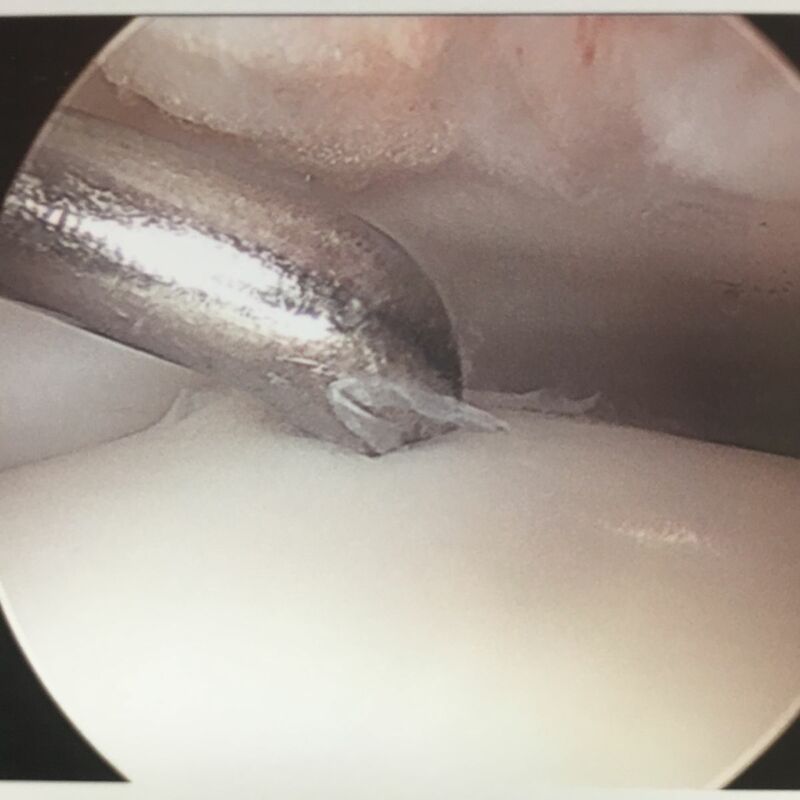 Stage II Soft overlying cartilage. 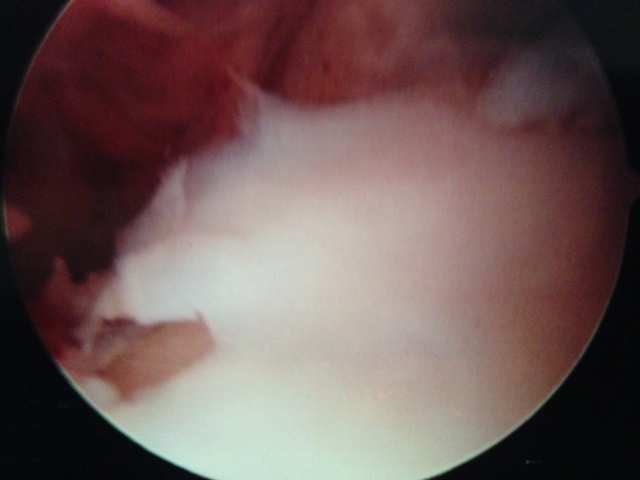 Stage III Frayed overlying cartilage. Stage A Smooth, intact, but soft or ballotable. Stage C: Refibrillation and/or fissuring. Stage D: Flap present or bone exposed. Stage E: Loose, undisplaced fragment. Where are osteochondral lesions located? Injuries are slightly more common on the inner versus the outside of the talar dome surface. When they occur on the inside they are more towards the middle/back two-thirds of the bone. When they are located on the outside they are commonly seen in the middle to front half of the talar dome region. Injuries are relatively uncommon in the center of the bone. Injuries can also affect the shoulder of the bone in which the top and side of the bone are affected. These are much more problematic injuries. Injuries on the lateral (outer side) tend to be shallow. Injuries on the medial (inner side) tend to be deep. 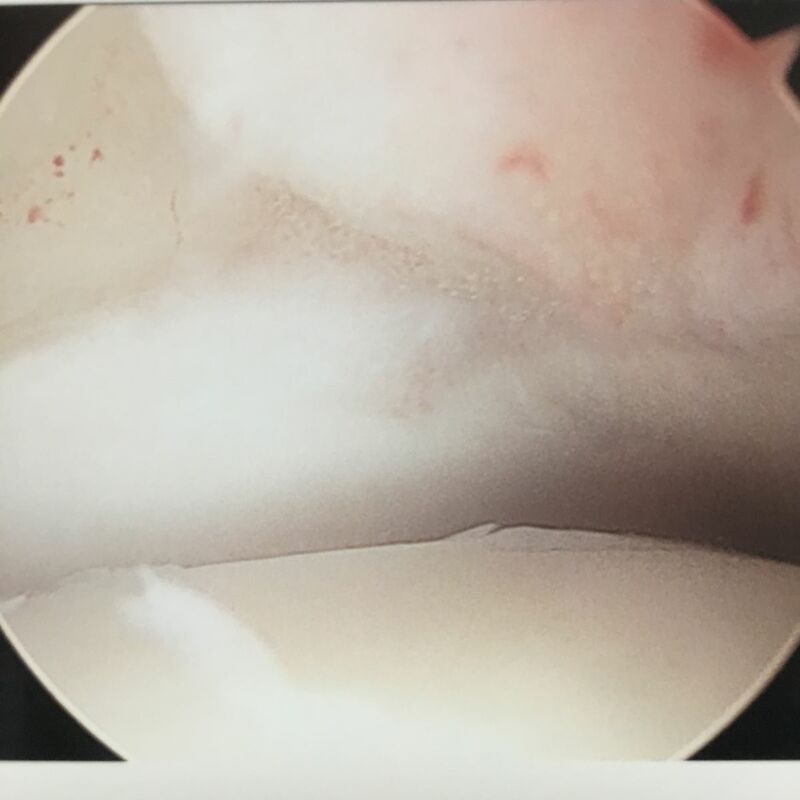 Over time injuries to the cartilage and bone can cause joint fluid to leak beneath the bone surface and cause a subchondral cyst. These tend to be more painful to walk on and exercise with. Where does the pain usually come from with these kinds of injuries? 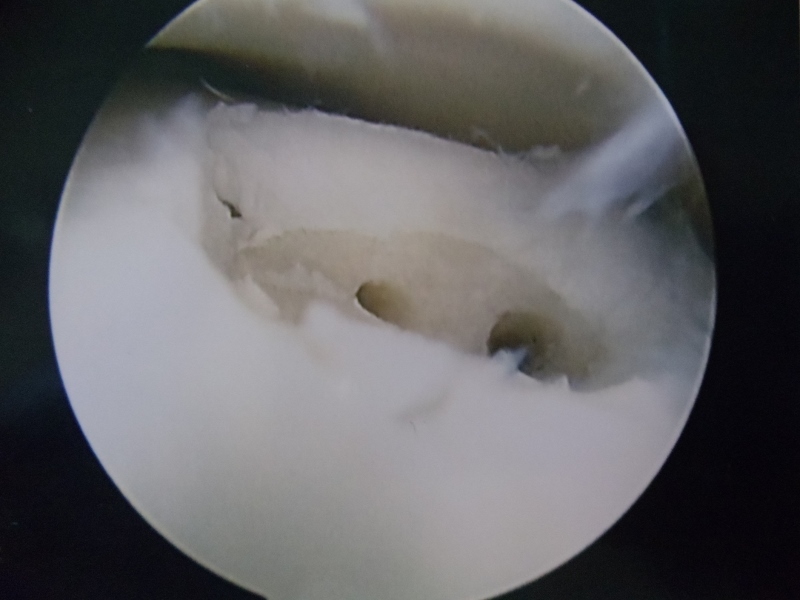 Cartilage that is injured alone that is not flapped or associated with underlying bone bruising typically does not cause pain. When cartilage is soft or flapping into the joint, inflammation or synovitis may develop from irritation. This causes the joint to become swollen and painful to move. Bone marrow edema (bone bruising) from the injury causes swelling in the bone and pain when weightbearing. The intensity of the edema often correlates with the amount of pain a patient may develop. A tear in the cartilage and a fracture in the underlying bone may cause fluid to leak and increased pressure in the bone. A cyst formation causes further pressure within the bone itself, which often causes pain due to hydrostatic loads. Osteochondral lesions are often associated with synovitis or inflammation that surrounds the area. This synovitis can be caused by the osteochondral lesion and this can cause stiffness and pain in the joint. More chronic and persistent pain usually occurs when there is pressure in the subchondral bone after the joint surface has been breached. This pressure is associated with bone marrow edema as the pain fibers are located in this region. How are these injuries evaluated? A thorough history and physical examination is performed by one of our physicians. A history of any acute or prior injury is noted including the past history of an ankle ligament injury. X-rays are taken to evaluate the joint surface. 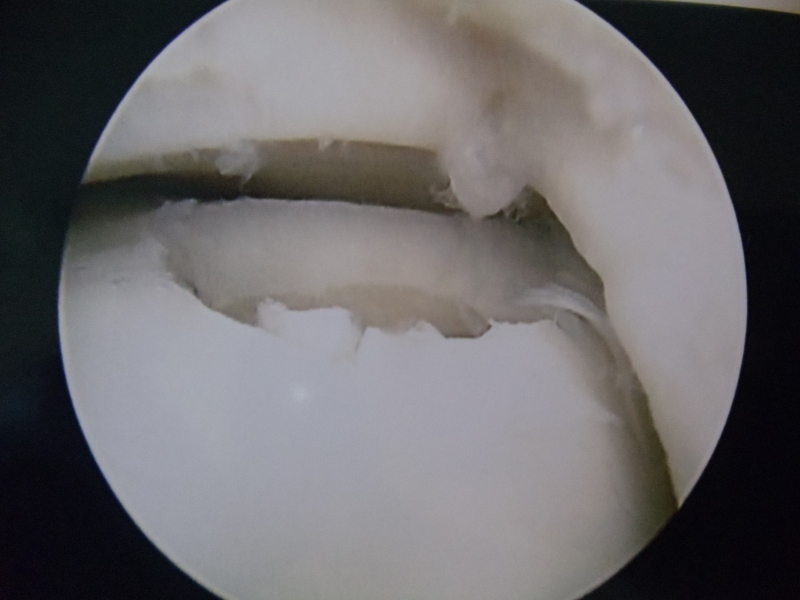 If x-rays are negative, however if an osteochondral lesion is suspected, an MRI is performed to evaluate the joint surface including the bone marrow. Other surrounding injuries to tendons and ligaments are also evaluated. 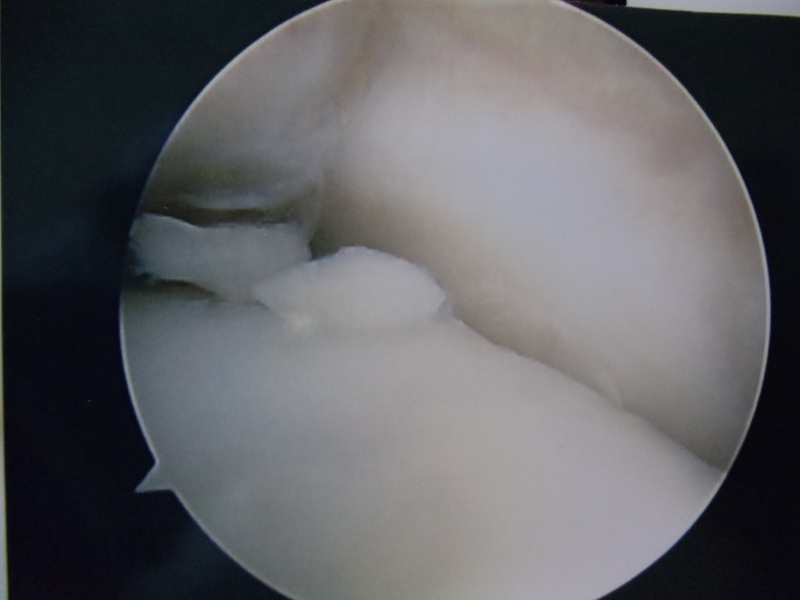 If an x-ray is positive for an osteochondral lesion, then a CT scan may be necessary to help stage the lesion (I through IV) and evaluate the size of the lesion. Once all this information is gathered, a comprehensive treatment program may be initiated to help the patient get back to their prior activity status without pain.